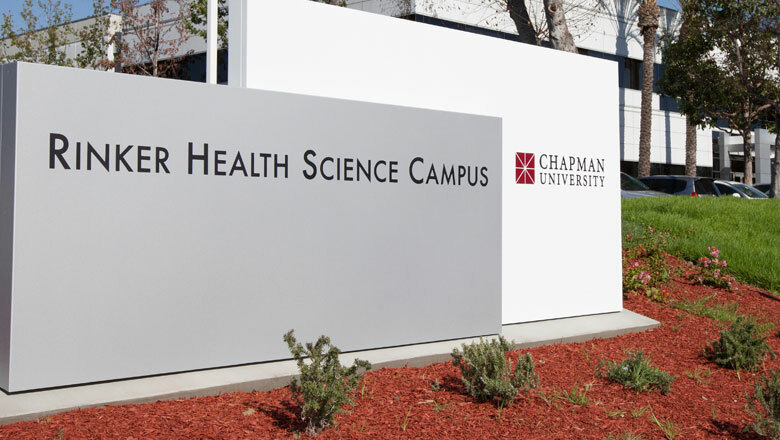 Officially dedicated on October, 15, 2014 the Rinker Health Science Campus is already helping to transform Chapman University into an influential health-science institution. The campus supports the activities of the John and Donna Crean College of Health and Behavioral Sciences and the School of Pharmacy as they work to realize a new vision for advanced healthcare professional education. Your support of the Harry and Diane Rinker Health Science Campus will create extraordinary learning and research opportunities for students in Chapman University’s acclaimed health science programs. You can help to advance cutting-edge health science education at Chapman by naming one of the campus’ many spaces in support of the Rinker Campus capital campaign. The space you name will be recognized in perpetuity, and your historic gift will nurture student researchers, foster future growth and open a world of incredible new possibilities for the health sciences at Chapman University. For more information or to make a gift in support of the Center, please contact Chris Pagel at cpagel@chapman.edu.